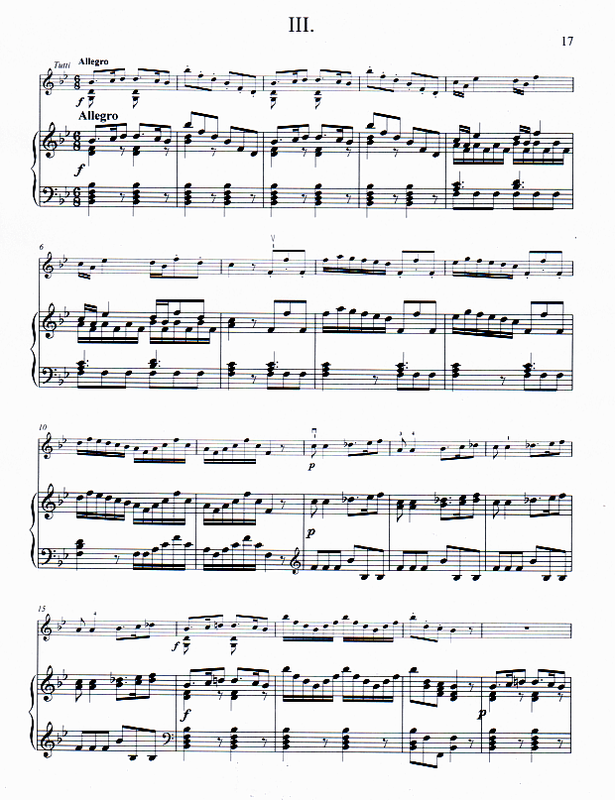 Violin Concerto in B-flat Major, F.I. no. 60. 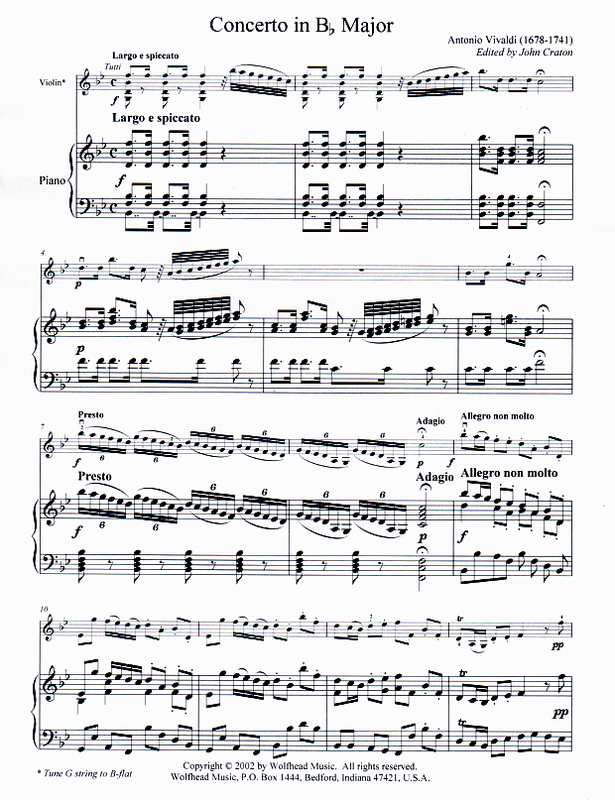 A three-movement concerto for violin, two string orchestras, and two harpsichords arranged for violin and piano. 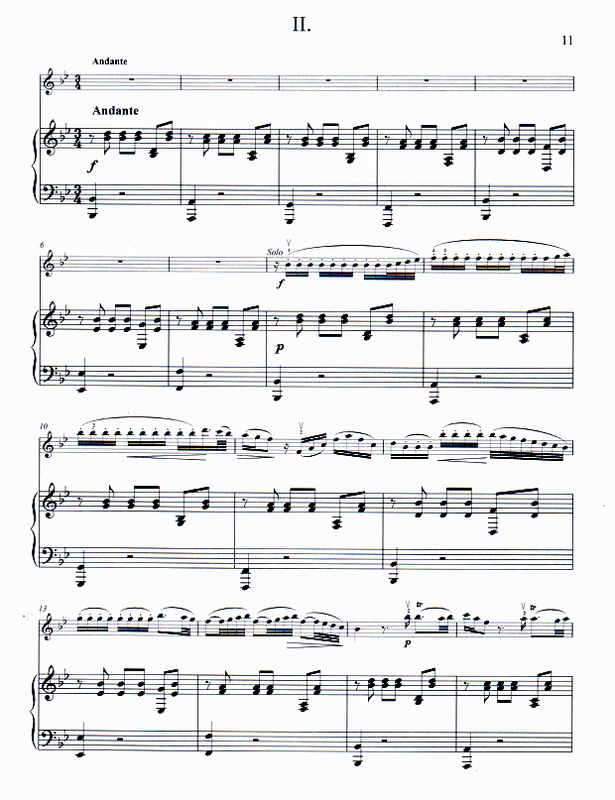 The solo part is for scordatura violin, requiring the G string to be tuned to B-flat. 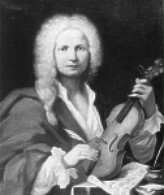 One of Vivaldis most beautiful concertos and never before published for violin and piano. Edited by John Craton.